Olive oil recipes are one of the basic categories of Turkish cuicsine. 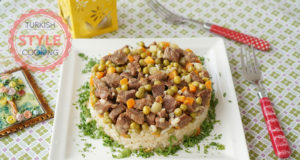 They are generally cooked without tomato paste and served cold unlike general cooking style of Turkish cuisine. As they are served cold, they are generally cooked in summer. 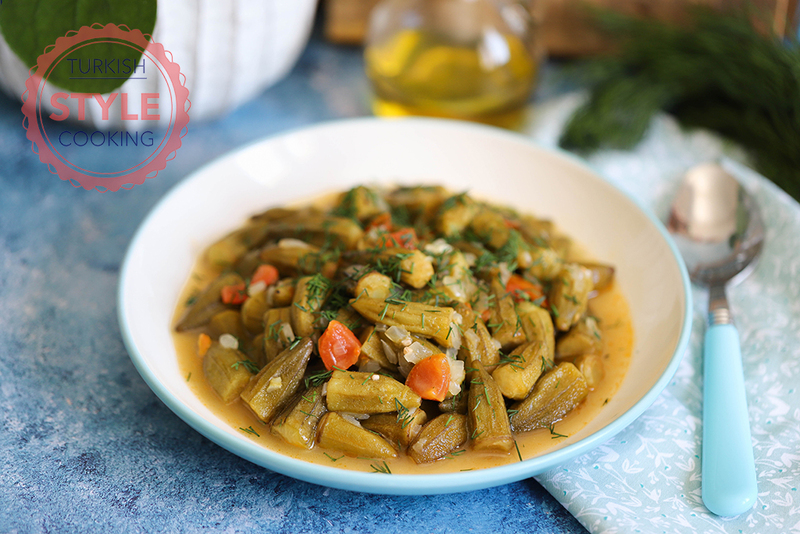 Olive oil green beans , celery root, stuffed green peppers and sarma are the most preferred ones but almost every vegetable can be cooked with olive oil. If you don’t know how to clean okras please watch my how to clean okra video. It’s in Turkish but I’m sure it will give an idea. Olive oil recipes are generally served cold as I said earlier but you can eat them hot also if you want. Cover the lid and cook until all are softened.